Hans Bethe's "Biographical Memoirs" contains a full list of Oppenheimer's scientific publications. 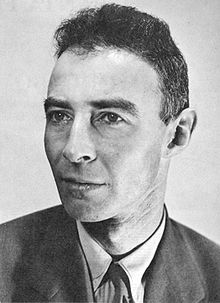 Powers, Thomas, "An American Tragedy, " New York Review of Books, September 2005. Review of several revisionist histories of the struggles to develop the atomic and hydrogen bombs, and Oppenheimer's role therein. Two collections of digitized materials related to Oppenheimer's connection to Linus Pauling, structural chemistry research and peace activism.